Welcome to Unit 301 at The Edge! We just finished a complete remodel. All new tile floors, fresh paint, new kitchen and bathroom counter-tops. All furniture and appliances are brand new! You will love your stay in this first class condo. 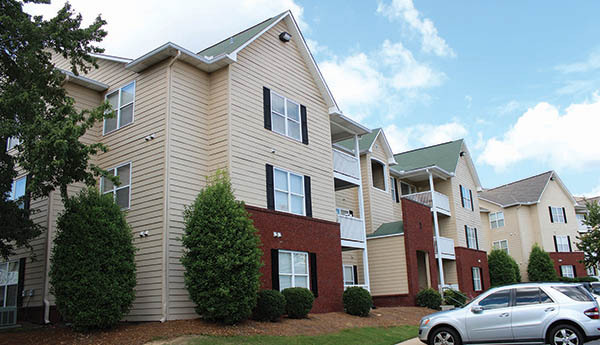 Our condo is in The Edge condominium complex on South College Street. It is a four bedroom unit and each bedroom has a queen size bed. Also, each bedroom has it’s own bathroom. The Living Room/Kitchen/Eating area is an open floor plan. There is plenty of room for a family or friend gathering at the loveliest village on the plains! It is an easy walk to all the athletic complexes, Jordan Hare, W. James Samford Stadium and the Auburn Arena. Approximately one mile away! Very close to Toomer’s Corner and downtown shopping. University Village is right next door. There is a Starbuck’s right across the street and of course WalMart is just down the road (just a little over a mile). Book your stay with us for all the great sporting events, Campus Tours, Camp War Eagle, Move in/out day, Bid day, Graduations or Weddings. There is also a Robert Trent Jones course only 13 miles away! Discounts Available for Non-Event Dates. Repeat Renters Get a 10% Discount. Military Also Gets a 10% Discount.